You probably know a person or two who was born in 1969. This year, much to their surprise I’m sure, they will find that they turn fifty, just as Readings will. Also turning fifty in 2019 are Margaret Atwood’s brilliant first novel, The Edible Woman, Kurt Vonnegut’s metafiction classic, Slaughterhouse Five, Maya Angelou’s groundbreaking literary memoir, I Know Why the Caged Bird Sings, and Eric Carle’s essential tale of excess and rebirth, The Very Hungry Caterpillar. Which of the books published in 2019 will be as loved, as popular, as influential as these books, fifty years from now? I hope I’ll be around in 2069 to find out, but in the meantime, here’s our annual wrap up of books to look out for this year. It seems entirely appropriate that in such an auspicious year, there are no fewer than four Readings staff members publishing books: look out for the book almost no one knew was being written until it won the Text Prize, Nina Kenwood’s YA novel, It Sounded Better in My Head (August); Miles Allinson’s follow up to his award-winning and outstanding novel, Fever of Animals, called In Moonland (September); Text Prize shortlistee and Readings Monthly’s ‘Dead Write’ columnist Fiona Hardy’s middle-fiction debut, How to Make a Movie in Twelve Days (September); and Gerard Elson’s highly anticipated project about Melbourne musician Rowland S. Howard, Something Flammable (November). Well done everyone! I am not just being collegial when I say that I can’t wait to read the finished copies of all these books – these smart people are authors you really do need to watch, and I have no doubt that their work will be brilliant. In other exciting news concerning the Readings extended family, three alumnae of the Readings Prize will bring us new novels this year too. Jennifer Down (2018 winner for her story collection, Pulse Points) has a second novel, due out in September. Melanie Cheng (2017 shortlistee for her story collection Australia Day) publishes her debut novel, Room for a Stranger, in May. Lucy Treloar (2016 shortlistee for her debut novel, Salt Creek) will bring us Wolfe Island due in September. There are lots more debut novels to put on your radar. First, some names you will know: Anna Krien is best known as a writer of nonfiction – Into the Woods and Night Games have surely become classics – but she has also been writing a novel called Act of Grace (October); Kate Richards wrote an acclaimed memoir called Madness: A Memoir (2013) and her novel Fusion is out this month, which our reviewer calls a ‘strange, bold, [and] eerie’ work of Australian Gothic; Anna Goldsworthy has written two works of memoir, and this year publishes her debut novel, Melting Moments (May); Leah Purcell won many accolades for her play, The Drover’s Wife, and she is working on a novel of the same name (September); you’ll remember Martin McKenzie-Murray for 2016’s A Murder Without Motive, and he publishes a debut work of satire, The Speechwriter (November). Then there are some names you mightn’t yet know but soon will: the winner of Penguin Random House’s inaugural Literary Prize was Kathryn Hind for the manuscript of her novel, Hitch (June); Felicity McLean’s atmospheric literary mystery is The Van Apfel Girls are Gone (April); scientist Susan Hurley’s debut medical thriller is Eight Lives (April); Alex Landragin has written the epic-sounding Crossings, which promises much for fans of Roberto Bolaño and David Mitchell (June); editor and translator Elizabeth Bryer will publish From Here On, Monsters (August); and Melissa Ferguson has written a dystopian debut, The Shining Wall (April). A number of emerging writers bring us their second novel: Claire G. Coleman wowed us with Terra Nullius in 2017, and she’s back with another literary work of speculative fiction, The Old Lie (September); Christian White had massive success with his debut, The Nowhere Child, in 2018, and he’ll publish his follow-up, The Wife and the Widow, in July; Mark Brandi’s debut was the acclaimed novel Wimmera (2017), his second novel, The Rip, is due in March, and anticipation is already building; Dervla McTiernan’s The Rúin won her many fans who will be awaiting her second novel, The Scholar (March); Peter Polites’s uncompromising debut, Down the Hume, is followed this July by The Pillars. Alice Robinson’s Anchor Point was longlisted for the Stella Prize; her second novel, The Glad Shout, is out in March. Miriam Sved’s Game Day was her acclaimed debut; her second novel A Universe of Sufficient Size (April) is based on the story of her mathematician grandparents’ escape from Budapest during World War II. Katherine Collette of The Helpline fame publishes Swallow in October. A new book from local legend Tony Birch is always a welcome event, and this year his novel, The White Girl, arrives in July. Dominic Smith had huge local and international success with The Last Painting of Sara de Vos back in 2016; this year, look out for The Electric Hotel in June. Andrea Goldsmith’s Invented Lives (April) is her first novel since The Memory Trap, which won 2015’s Melbourne Prize for Best Writing. Chris Womersley publishes his first collection of short fiction, A Lovely and Terrible Thing in May. Look out, too, for Peggy Frew’s Islands (March); Leah Kaminsky’s The Hollow Bones (March); Favel Parrett’s There Was Still Love (September); Carrie Tiffany’s Exploded View (also March); Rohan Wilson’s Daughter of Bad Times (May); Nikki Gemmell’s historical novel, The Ripping Tree (September); Melina Marchetta’s The Place on Dalhousie (April); Wayne Macauley’s novella, Simpson Returns (April); Andrew McGahan’s The Rich Man’s House (November); Peter Goldsworthy’s first novel in over a decade, Minotaur (July). Two Stella Prize recipients have new novels out in October: Charlotte Wood and Heather Rose. Tara June Winch’s novel, The Yield (July), sounds amazing, gathering together current concerns about the environment, Indigenous agriculture, water, place and belonging. Christos Tsiolkas’s last novel was Barracuda, published in 2013, and while he has since then published a book of short stories (Merciless Gods) and a short work about Patrick White (in Black Inc’s Writers on Writers series), it’s very exciting news that his new long-form work, Damascus, is due in the second half of the year. This story set during the establishment of the Christian church will be written with the ambition and imagination that only Tsiolkas can deliver: a highlight of 2019, no doubt, in a year that looks very strong for Australian fiction. Black Inc. published the groundbreaking collection Growing Up Asian in Australia (ed. Alice Pung) way back in 2008; ten years later, they revived the concept of a themed essay collection assembled around identity with the brilliant Growing Up Aboriginal in Australia, which was one of our staff favourites and bestselling books in 2018. 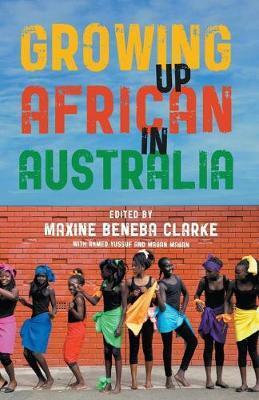 This year they’ll bring us two more collections: one on growing up African edited by Maxine Beneba Clarke (in April) and one on growing up queer edited by Benjamin Law (in August). Meanwhile, Pan Macmillan will publish a timely collection of essays, #MeToo: Stories from the Australian Movement (May). Melbourne University Publishing’s ‘On’ essay series continues to grow, with contributors this year including Sally McManus (On Fairness), Tim Soutphommasane (On Hate), John Birmingham (On Father), Natasha Stott Despoja (On Violence), and Stan Grant (On Identity). Stan Grant has another book coming out this year too, following up his hugely successful Talking to My Country with Australia Day (May). Judith Brett won the 2018 National Biography Award for The Enigmatic Mr Deakin; this year she publishes the brilliantly titled From Secret Ballot to Democracy Sausage (March), telling a history of compulsory voting in Australia. Michelle Arrow publishes The Seventies (March) about that heady decade of change in Australia. Kate Legge explores the fascinating story of environmental pioneers Gustav Weindorfer and Kate Cowle, who fell in love with each other and Cradle Mountain in Tasmania a century ago: the book is called Kindred: A Cradle Mountain Love Story (March). Hannah Gadsby’s star continues to rise, and her memoir, Ten Steps to Nanette, will be justifiably huge here and overseas I’m sure (it’s due in the second half of the year). Sophie Cunningham has an essay collection out in April, City of Trees. Music journalist Andrew Stafford’s love letter to Brisbane and its music scene, Pig City, is a standout of Australian music writing, so I’m keen to read his memoir, Something to Believe In (July). Anwen Crawford writes so very well about music in The Monthly; her new work of nonfiction, Kindred, is due this year too. Bruce Pascoe published Dark Emu in 2014 and it has become something of a phenomenon at Readings, finding an ever-growing readership. His Collected Works are out in August. Novelist Neal Drinnan turns his hand to true crime in The Devil’s Grip (September), which is being touted as ‘Midnight in the Garden of Good and Evil meets Wake in Fright’. Scribe had a huge political publishing hit with Niki Savva’s The Road to Ruin, the exposé of the behaviour of Tony Abbott and his chief of staff Peta Credlin in the lead up to Abbott’s demise. This July, Savva will turn her gaze towards Malcolm Turnbull’s downward trajectory in Highway to Hell. Psychologist and parenting expert Steve Biddulph reboots two of his classics, publishing Raising Girls in the Twenty-first Century in May and The New Manhood in the Twenty-first Century in August. You can also expect memoirs in April from Jocelyn Moorhouse, Jessica Rowe, Kitty Flanagan, and from Archie Roach and Clare Bowditch later in the year, plus the diaries Richard Lowenstein kept while shooting Dogs in Space (May). Our love and admiration for Helen Garner has no end, and so it’s fantastic news that Text will publish volume one of her diaries in November, covering 1978–1986. My colleagues in our children’s books department tell me they are very excited about Wilam: A Birrarung Story by Aunty Joy Murphy (it’s Angela Crocombe’s most anticipated release of the year! ); Leigh Hobbs’s Mr Chicken All Over Australia (beloved author, beloved chicken); another stunning picture book, Fashionista, from writer, and now also illustrator, Maxine Beneba Clarke; Adam Cece’s final book in the Huggabie Falls middle fiction series; Land of Fences, the final in Mark Smith’s The Road to Winter YA series; the first book by Yassmin Abdel-Magied for the YA market, You Must be Layla; Sick Bay by well-loved YA local author Nova Weetman; and the beginning of a new series by superstar writing duo Jay Kristoff and Amie Kaufman, Aurora Rising. On top of all that, there are some major releases coming our way from international authors, including (and my deepest apologies for this completely and utterly unembellished list) Elizabeth Gilbert, Colson Whitehead, Deborah Levy, Ian McEwan, Toni Morrison, Bret Easton Ellis, Dave Eggers, Jared Diamond, Oliver Sacks, Virginia Reeves, Amy Hempel, Mark Haddon, Ann Leckie, Marie Darrieussecq, Ronan Farrow, Simon Schama, Zadie Smith, William Dalrymple, Siri Hustvedt, Bill Bryson, Max Porter, Mary Norris, Amitav Ghosh, Elizabeth Strout, T.C. Boyle, Leïla Slimani, David Vann, Jeanette Winterson, Maja Lunde, Helen Oyeyemi, Philip Kerr, James Ellroy, Naomi Wolf, Téa Obreht, Nell Zink, Michel Houellebecq, Alice Hoffman, Ann Beattie, Ali Smith, Erin Morgenstern, Karl Ove Knausgaard, Arundhati Roy, Isabel Allende, Louis de Bernières, Herman Koch and a new translation of Beowulf from Maria Dahvana Headley, who in 2018 published a modern take on the text, called The Mere Wife, and was a guest of Melbourne Writers Festival. But, dear reader, there can surely be no greater, no more exciting news in international fiction than that announced in November last year: that Margaret Atwood is writing a sequel to The Handmaid’s Tale. The publication of The Testaments in September 2019 is nothing short of a worldwide literary event (plus there is also a graphic novel adaptation of The Handmaid’s Tale due in April just for good measure!). Hold on, though: for those feeling slightly overwhelmed (and I know I certainly am), I’m sorry but I’m nowhere near finished yet, because there are the books we feature in this month’s Readings Monthly to catch up on. First up, we have our Fiction Book of the Month, Sonia Orchard’s Into the Fire, a novel that explores the devastating events of a house fire. Our reviewer commends this as a ‘novel of ideas, not just characters’, and hints that the writing has ‘Garner-esque’ qualities, which is high praise indeed. Watch out for debuts from Molly Murn and J.P. Pomare, Emily Brewin’s second book, Small Blessings, Debra Adelaide’s short stories, Zebra, and Mandy Ord’s new graphic novel, When One Person Dies, the Whole World is Over. Gerald Murnane (who incidentally also has a significant birthday in 2019) was at last recognised on the prize circuit, winning 2018’s Prime Minister’s Literary Award in the Fiction category for Border Districts in December, topping off a year of renewed interest in his unique writing. This month, Giramondo publishes a new collection of his poetry, Green Shadows and Other Poems, while Text releases A Season on Earth, a handsome hardback that is the novel that sits between Tamarisk Row and The Plains (half of which has never been published before; the other half was published as A Lifetime on Clouds). Graeme Simsion is one of Australian writing’s greatest successes of recent years. The Rosie Project, followed by The Rosie Effect, became the kind of international sensation of which most authors (and their publishers) can only dream. This month, Simsion draws Don and Rosie’s story to a close with The Rosie Result. Also coming to an end this month is Steven Carroll’s epic Glenroy series, with The Year of the Beast, the sixth book in the cycle spanning one hundred years of Melbourne’s history: our reviewer calls this work a ‘gift’ to readers. This time last year I wrote about the sensation that was Kristen Roupenian’s ‘Cat Person’, the New Yorker short story that made the author famous in an internet instant. This month, Roupenian’s debut collection appears, You Know You Want This (and you know you want to read it and judge whether said fame will hold). The winner of the 2015 Man Booker Prize, Marlon James, has an ambitious new project: his Dark Star trilogy is being called ‘an African Game of Thrones’, and its first volume, Black Leopard, Red Wolf is out this month. Shortlisted for the Man Booker in the same year was Chigozie Obioma; his new novel, An Orchestra of Minorities, adds a Nigerian voice to the current interest in reworking and retelling Homer’s Odyssey. Our reviewers also recommend Delphine de Vigan’s Loyalties, Karen Thompson Walker’s The Dreamers, Caroline Lea’s The Glass Woman, Julie Cohen’s Louis & Louise, and Jasmin B. Frelih’s In/Half. Watch out too for new books from John Lanchester, Roberto Bolaño, Yangsze Choo, Ben Okri, and Emiliano Monge. I have just finished reading The Friend by Sigrid Nunez, the 2018 winner of the National Book Award for Fiction. Now available in a local edition from Virago, this brilliant book captures perfectly the pleasures of reading and writing, and says beautiful things about grief, friendship, the devastations of suicide, and the love of and for our animal companions on the journey. It’s also quite funny. It deserves all its acclaim: I really loved it. Our Nonfiction Book of the Month is Beyond Words: A Year with Kenneth Cook, Jacqueline Kent’s gorgeous account of her too-brief love affair with the Wake in Fright author, which our reviewer calls ‘a delight to read’. Activist Carly Findlay’s inspiring memoir, Say Hello, is her frank and fearless story of living with a rare skin condition. Jane Caro writes about the women she calls Accidental Feminists, the generation of women over fifty-five who found themselves at the coalface of a revolution in gender politics. Peter Seamer writes an important critique of Australia’s urban development in Breaking Point. Computer scientist Cal Newport teaches new essential skills in Digital Minimalism. Dr Michael Mosley hones his fasting technique for weight loss in The Fast 800. Nobody’s Looking at You is Janet Malcolm’s new collection of essays. Deborah Lipstadt’s Antisemitism: Here and Now provides a potent reminder that this form of hate is not yet consigned to history. And finally, dear reader, my genuine apologies for those books and genres I have not had space for here (my editor is going to scold me for length already), and of course there will be the many, many books that we didn’t see coming … the ones that gather momentum all of their own. Sometimes these are the most exciting releases of any year: I can’t wait to see what they are. You can pick up a free copy of the February edition of the Readings Monthly from any of our shops, or download a PDF here.